Keep the defibrillator on standby. There’s a new deep-fried sweet and savory treat that’s been hatched just in time for Easter, if you’re able to get to Derby in England. The Cadbury’s Creme egg wrapped in pork sausage meat, breadcrumbs, herbs, and spices has become the best seller at Mr Mustards sandwich shop, according to staff. Owner Kate Moorcroft and her chef Vaughan Bednall were inspired by the idea of experimenting with recipes. “A customer suggested we try a new combo of flavors and though we were skeptical about mixing sweet and savory, we thought we would give it a go,” she told the Derby Telegraph. The cracking idea isn’t original, though. 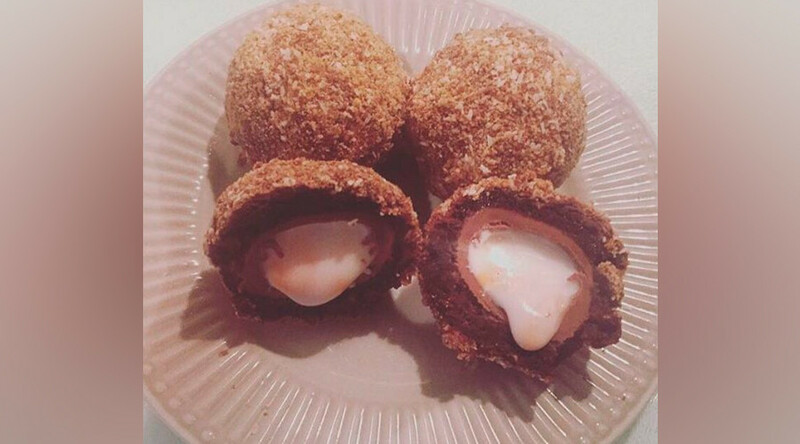 Last year, a butcher decided to change the traditional recipe of a Scotch egg by replacing the center of the delicacy with Cadbury’s Creme Eggs. For those who have a weak stomach, there are more standard Easter recipes.